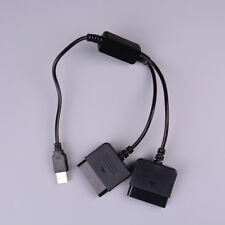 1 x USB Port Adapter Converter. Easy and convenient to use, simply hot-plug the PC USB socket and install the driver, then it works perfectly. Type: USB Cables. Quantity: 1. Support 4 types of vibration 1. Constant Force 2. Sine Force 3. Spring Force 4. Ramp Force. 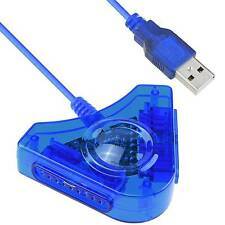 Easy to use, simply plug into USB socket of your PC and install the driver and you're ready to go! PC / Laptop / Tablet Accessories. 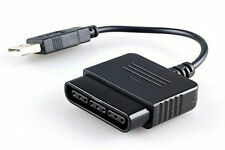 1 x USB Port Adapter Converter. Easy and convenient to use, simply hot-plug the PC USB socket and install the driver, then it works perfectly. Type: USB Cables. Weight: Approx. Interface:USB Port. A 3-year warranty is promised, your satisfying is our ultimate pursue. Applies on the PC. Note:Light shooting and different displays may cause the color of the item in the picture a little different from the real thing. New and high quality. Interface:USB Port. - Size: approx. 8.5 7 2 cm. 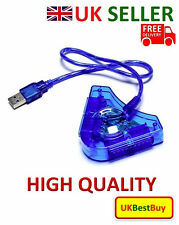 Easy and convenient to use, simply hot-plug the PC USB socket and install the driver, then it woks perfectly. Type: USB Cables. 1 x USB Port. Size: Approx. Due to the difference between different monitors, the picture may not reflect the actual color of the item. 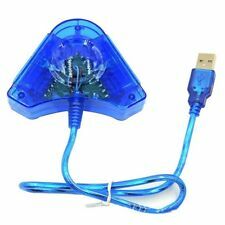 Easy and convenient to use ,simply hot plug the PC USB socket and install the driver,then it works perfectly. Plug and Play, Standard HID compliant. pealse be aware of this before placing your order. 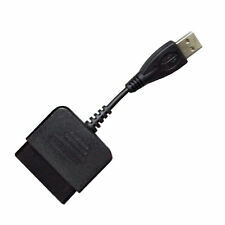 Easy to use, simply plug into USB socket of your PC and install the driver and you're ready to go! Black L2 R2 Trigger. 150M USB WiFi. Bluetooth 4.0 USB. 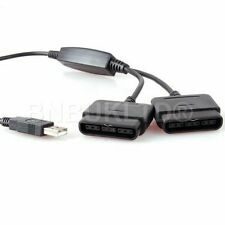 USB Audio Adapter. Support 4 types of vibration 1. Pelase note this product is third party product, not made by SONY. If you are not satisfied with the item, you can. Does not require any external power to operate. Platform Sony Playstation 3. USB 1.1/2.0. Mouse, Keyboards & Keypads. Driver need for rumble feature on the PC. We will do our best to resolve any issues that may arise. Easy to use just plug and play. Now,you get it! Easy and convenient to use,simply hot-plug the PC USB socket and install the driver,then it works perfectly. Interface:USB Port. Both digital & analog modes are available. Now,you get it! Interface:USB Port. Easy and convenient to use,simply hot-plug the PC USB socket and install the driver,then it works perfectly. We will do our best to solve your problem. Plug and Play, no driver needed. Support analog/digital mode. If you do not receive our reply within 48 hours, pls. If you are satisfied with our service, pls. Full length: 55cm / 21.7in. 3X(New and high quality. Applies on the PC. Note:Light shooting and different displays may cause the color of the item in the picture a little different from the real thing. ). 5X(New and high quality. Applies on the PC. Note:Light shooting and different displays may cause the color of the item in the picture a little different from the real thing. ). Build-in flashing signal indicator. Easy and convenient to use, simply hot-plug the PC USB socket and install the driver, works perfectly. Support both digital and analog mode.